We’ve already told you about various types of skirts many times and, of course, what outfits you can create with all of them. 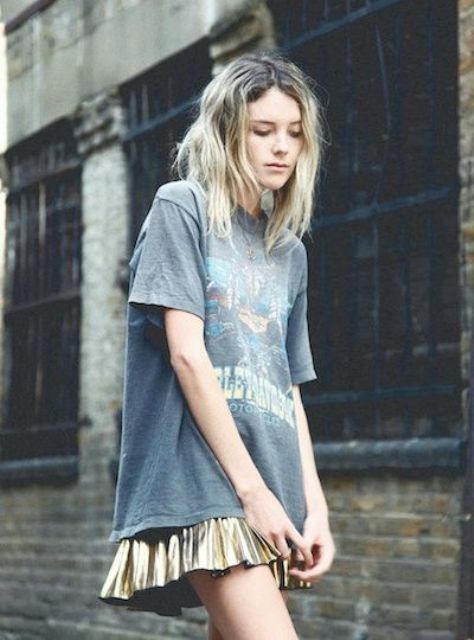 So if you still haven’t picked up a perfect skirt for you or wanna refresh your looks with a new thing, pay your attention to super cool metallic skirts! For these spring and summer seasons it’s a very huge trend, so many fashionable girls try to add this type of a skirt to their casual, work or holiday outfits. 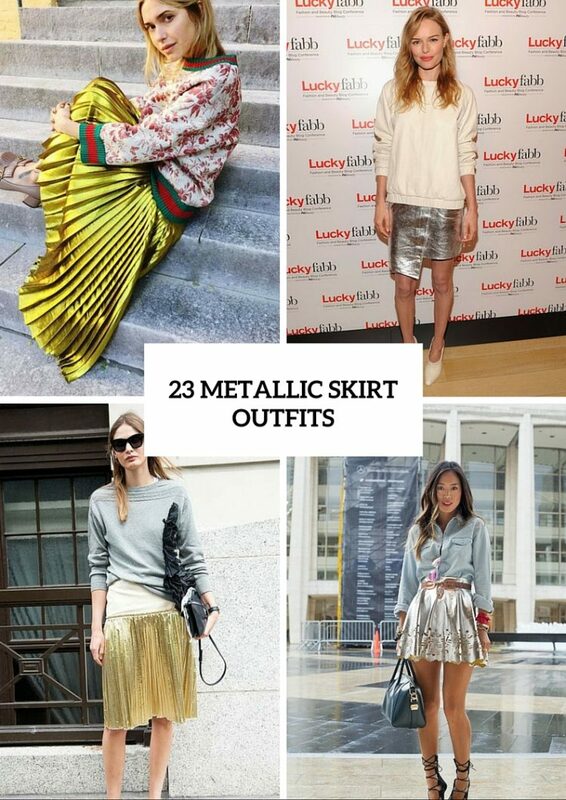 As you can see in our collected pics, most of fashionistas choose pleated metallic skirts. But you shouldn’t be limited only to this shape of metallic skirts, you can pick up pencil, tulip, a-line, circle ones, etc. 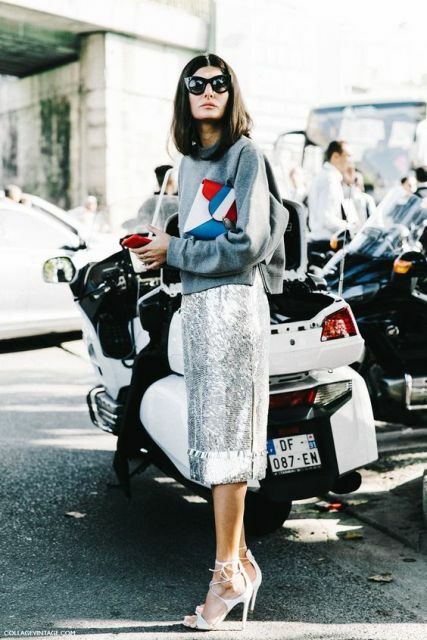 For going to work you can combine a metallic skirt with a white blouse or sweater and heels (of course, if you don’t have a black and white dress code). A combination of a golden metallic skirt, grey sweater and high heels or flats will be good looking if you wanna go shopping with your friends. 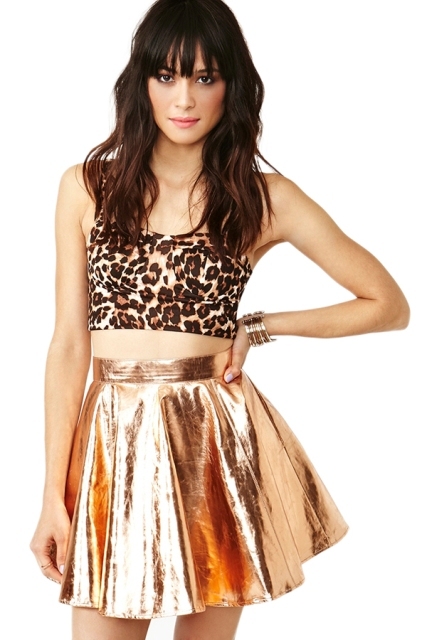 Metallic skirts look absolutely adorable with printed shirts (floral, striped, etc.) and graphic bags (by the way, it’s a summer 2016 trend too), so boldly combine them together! And of course don’t forget about leather and denim jackets, they’ll be excellent additions to your outfits. 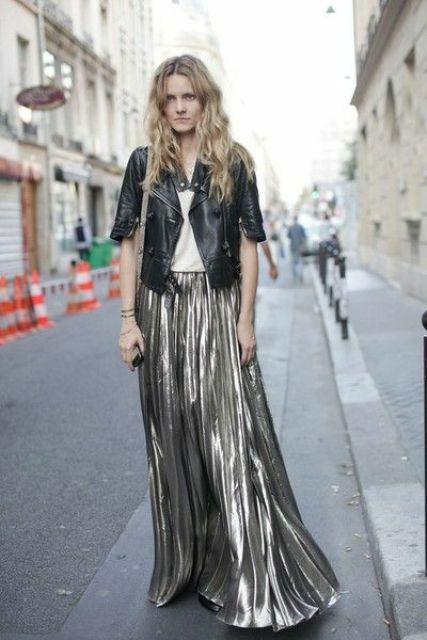 Now scroll down to find out why you need to create very eye-catching and so stunning outfits with a metallic skirt! Get inspired!